re you looking to clean out your closets and put some unused items to good use? Instead of throwing it all away consider giving as in-kind donations. Below is a list of all area agencies who accept in-kind donations and details on how to bring your donations to these partners. Please note that donations are to be taken directly to a mission partner drop-off location unless otherwise noted. Please make sure that your donations are gently used and in good condition. You can find large black donation bins located near each door to collect items for the month’s ministry partner. On each bin is a handout with information about the current items for collection. Lutheran World Relief School Kits: A list of needed items can be found on the handout on the Donation Bins or at the Welcome Center. Please note: No more pencils, erasers or boxes of crayons are needed. Barnabas Community is in need of all sizes of men’s clothing, especially jeans, and household goods. Baked goods for Barnabas are also needed, along with the following nonperishable food items: boxed macaroni & cheese, canned fruit/vegetables, hamburger meal kits, pasta, rice, canned chicken or ham, boxed instant potatoes. These food donations can be left on the table by the church office. For specific information on donations received and where to take donations please contact these agencies directly. Sheridan Lutheran Church has been actively supporting the mission and outreach of Lutheran World Relief for many years by collecting, assembling and sending quilts, kits and soap to Lutheran World Relief to be distributed as needed. 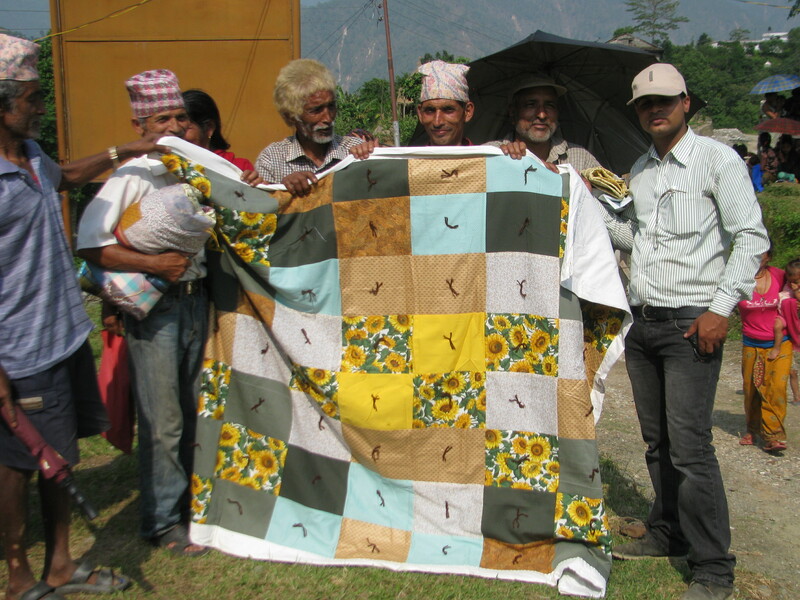 In 2015, Sheridan was able to provide more than 100 quilts, 114 school kits, 38 personal kits and 10 baby kits.